In windows 7 and vista there are cool games. When I first installed windows 7 the games were disabled somehow. But later I figured out how to enable or disable those default games preinstalled in windows 7. I am going to share how you can disable or enable all the default games(Chess, FreeCell, Hearts, Minesweeper etc). 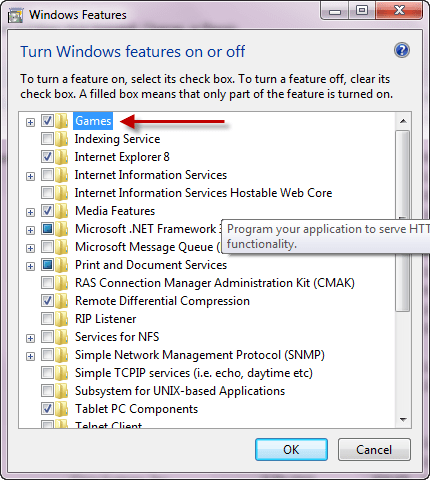 Disabling the games can help if someone is always playing those games on your pc and you don?t want them to play it and you can always enable them later. If the control panel items are in category view then click the Programs and then Programs and Features. If the control panel items are in large icons view or small icons view then click the Programs and Features. In the programs and features window click Turn Windows features on or off. In the windows features window check mark on the Games. If you expand the games by clicking the small plus sign at the left you can enable or disable individual games. Ever felt the necessity of editing the subtitle that are coming a little fast or little slow. If you have then you are at right place. Subtitle edit is the software that helps you edit and create a subtitle for your video. It is simple to use and is completely free under GNU public license. This has visual sync mode where you can play video and edit your subtitle. I found this software very helpful. Hope you will like it. 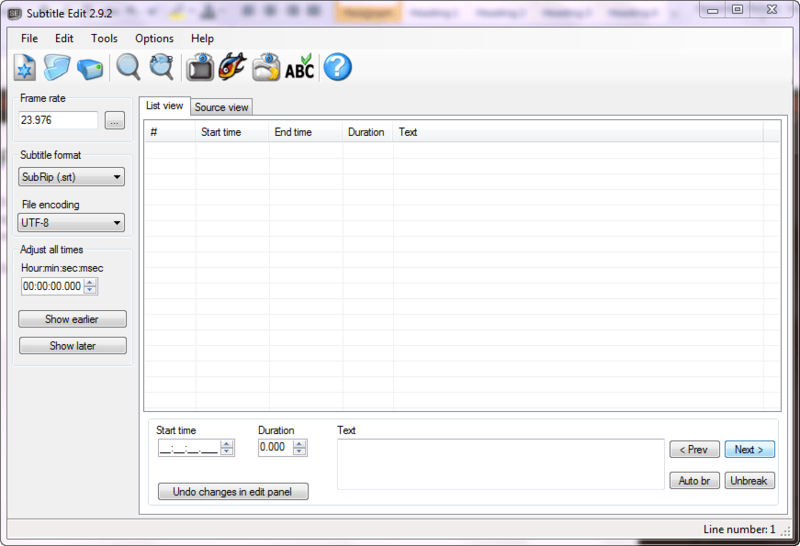 Download free subtitle edit 2.9.2. For those of you who are looking for quick answer for how to type aakar ukar in Nepali, try searching the smart quotes option on the respective application and disable it. Many of the beginner Nepali typist come across the problem of typing ukaar (?) in Nepali. Every time you type ukar the ms word turns it into something else. Many of you may have tackled by doing undo every time the character changes it, but its tedious and definitely not the way to do it. This changing of a word is due to a feature of word which converts the quote (‘) into a smart quote. If you have noticed while typing English, directions of opening quote and closing quotes are different. So if you have opened the quote then it will be in one position and if you have closed the quote it will be upside down. Here the first one has a smart quote and the latter does not have. So typing with default setting in ms word causes your ukaar ? to change. Because ms word is specially designed to work for typing English, ms word default settings won’t bother you while typing in English. But it can be a headache while typing Nepali. Every once in a while your typed word changes into something else. Now lets see how we can tackle the problem. The above happening is due to the ms word auto correct feature. If you have noticed, small typing errors in English are automatically corrected. Capitalization of first letters is one of them. So in order to type Nepali you have to make some changes in the ms word auto correct option. In previous version of ms word it is located at tools>autocorrect options. or File>options>proofing>autocorrect options in ms word 2010. In the auto correct option click Autoformat as you type tab and uncheck the ?Straight quotes? with ?smart quotes?. Doing this helps you type ukaar while typing in Nepali. Also you might what to uncheck other things like automatic capitalization in autocorrect tab if you are typing lots of Nepali. 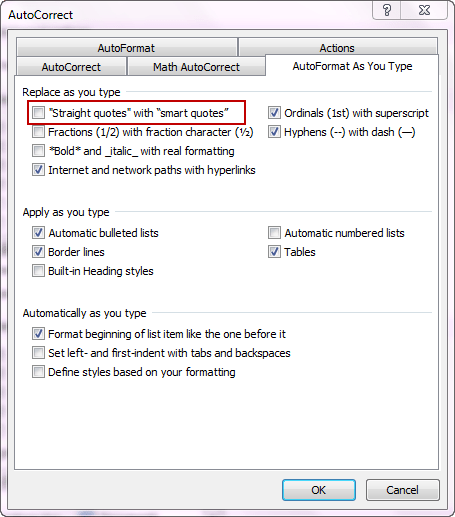 *In other programs you can type ukaar by disabling the smart quote feature in the respective programs. These days facebook has become a popular social networking site. Almost everyone of us has got the facebook account. You can simply share your photos, videos links your status etc. While sharing photos it little tedious to upload the multiple photos via facebook itself. So what to do if you have that folder of a party snaps in your drive and want to upload all on facebook with a single shot. This is where I use Picasa. Let me tell you a little about Picasa, if don?t know. If you know just skip to the next paragraph. Picasa is a software to manage all your digital photos (also video) and also view them. It has a nice interface and is easy to use. It also have several handy image manipulation tools that is a real time saver. You can fix a crooked image, or vanish those pimples from you face. Also there is a powerful collage tool which I really like. This software is available in all other OS (Linux,Mac os) apart from windows. Picasa is originally meant to upload photos directly to your Picasa web album. But its not the limit you can also use Picasa to upload the photos to your facebook account. 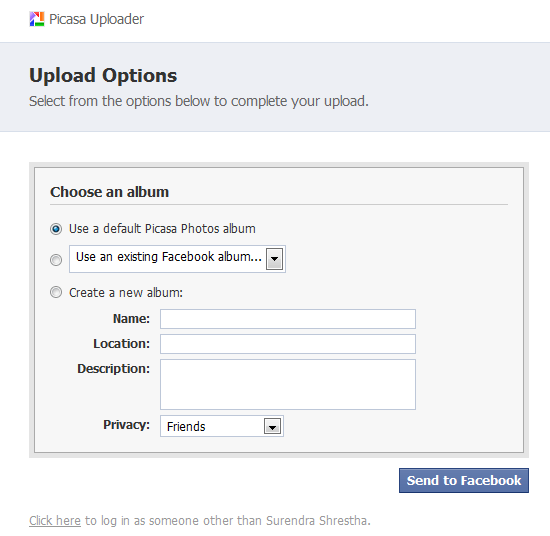 All you need is the facebook apps for the Picasa called Picasa uploader. Download it from there all the instruction about its usage is given there. When you are done you should be able to see this facebook button on your Picasa. Just select the photos you want to upload at once and click the facebook button. When this appears in your browser you can use default or user your existing facebook albums or create one. When you are done last thing you want to do is approve the uploaded photo in facebook. You can approve all the photos at once. Hope you are uploading lots of photos to facebook. Ever wondered if you could use timer to turnoff the computer? Yes you can. Though there are many software?s to do that work you can do the shutdown using few lines of command at the command prompt itself. At command is very helpful at scheduling the different task that can be executed by the help of it. I find the at command very helpful at night when I am watching movie on the computer and fell asleep. You can play songs on your media player and set a clock to shutdown after one hour when you are asleep. Also you can set time when you are downloading file which will take, say 30 minutes to download, then you can set the computer to shutdown at 40 minutes. Here?s what you need to do to shutdown your computer at your desired time. If you have problem executing the cmd in vista or windows 7 run the command prompt with administrative privileges. Right click the cmd prompt and click run as administrator. You can get more help about the at command from the Microsoft support site. You can tweak the command to do other tasks as well. Have fun experimenting with it.